We’ve been writing kitchen history since 1877. 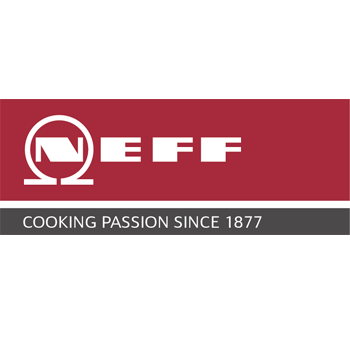 Over 135 years of dedication to and enthusiasm for cooks, kitchens and cooking. The passion of discovering new things, perfecting what’s good, and rethinking old recipes. You can find this passion in good kitchens, and also at good kitchen appliance manufacturers. Our Slide&Hide® door tucks in smoothly under the oven cavity, giving you better access to baste, taste, and monitor your dishes. It’s is also a real space saver in the kitchen. What’s more, Slide&Hide® now comes combined with pyrolytic self-cleaning, and is available for almost all oven models. With CircoTherm® you can cook, roast and bake on all levels simultaneously, creating a whole menu of completely different dishes without flavours intermingling. The roast meat will taste like roast meat and the muffins will taste like muffins. How does it work? The innovative high-performance blower draws air in from the oven via a powerful stainless steel fan. It then heats up the air and forces it right back into the oven cavity around the dishes through strategically placed ducts in the rear wall. Pull out, lift up and serve. With the new ComfortFlex® design the telescopic rails don’t get in the way when you need to grasp and lift a hot and heavy oven tray. If fitted with changeable shelves, the rails can be moved around easily and positioned in the oven at whichever of the four levels you prefer.